Today I am reviewing a brand new Canadian book subscription box. 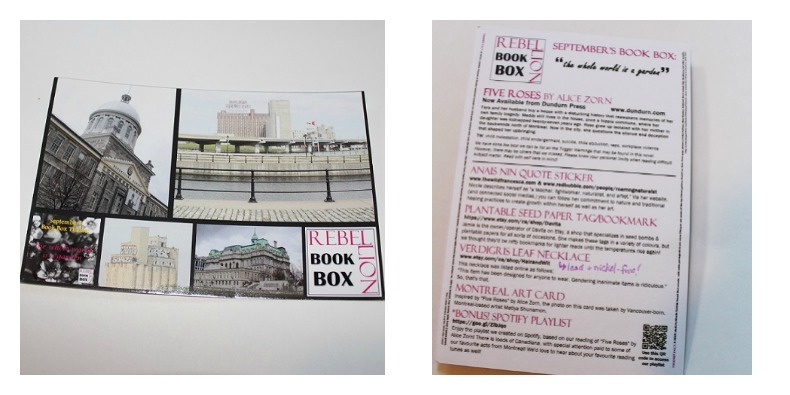 Rebellion Book Box is the newest literary-themed subscription box based in Canada and supports female writers. For one month option is CDN$44 for boxes shipped within Canada and CDN$48 for boxes shipped to the USA. Shipping is included. For 6 month subscription, within Canada, is CDN$130 and CDN$140 for USA. Each box will contain at least one novel written by a female author and 2-3 items from feminist-run stores and shops . If you love to read and are always looking for books by female authors, I think this is a great book box for you. I have not read the book that was in this month's box yet but I know I will soon because it does sound very interesting . 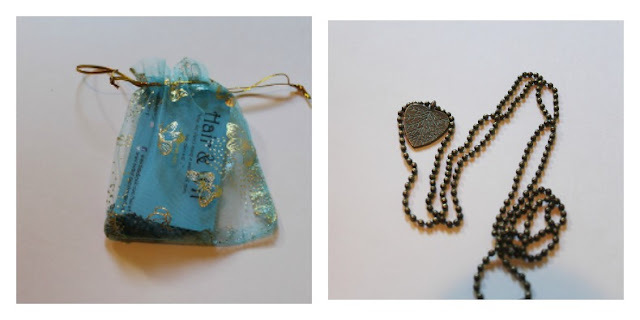 I find the price is decent for a book subscription box. They are very new so of course, the first box is not the best but as they grow they will be sending better things. I would like to see maybe tea or coffee in a box in the future (those seem to be pretty popular in book boxes). All in all, I find for a first box, they have done very well. I do recommend Rebellion Book box.